Come closer. Closer..I have a secret to tell you. 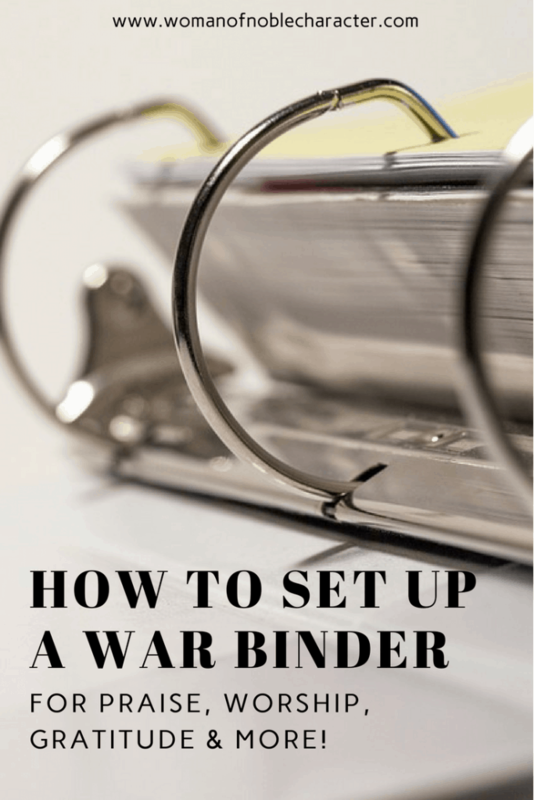 Setting up your very own war binder doesn’t have to be complicated or expensive. Yep, it’s true. 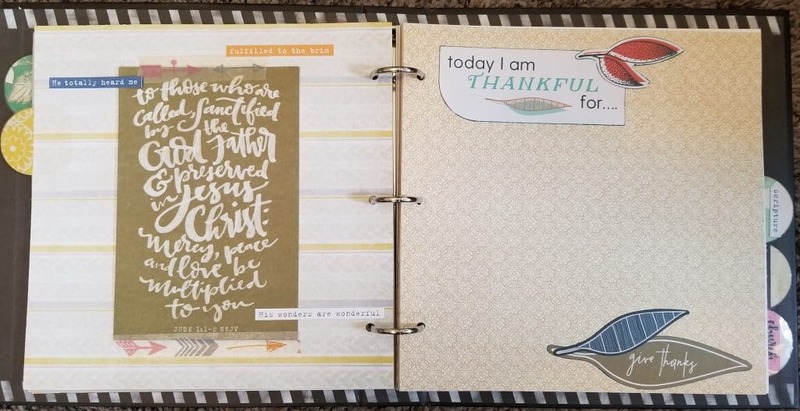 If you aren’t familiar with the term “war binder”, a war binder, also known as a faith journal, is essentially a binder or notebook with multiple sections that you use to document your walk with God. 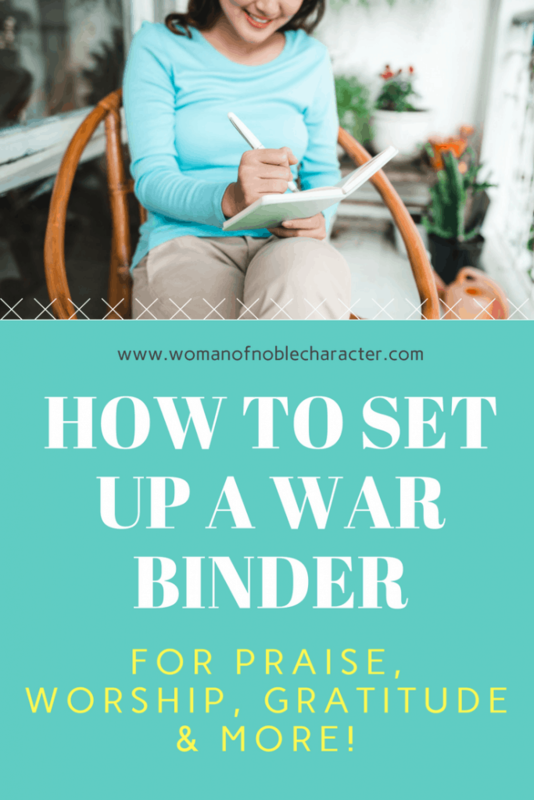 The term ‘war binder” may have come from the movie “The War Room”, starring Karen Abercrombie, where Ms. Clara guides a struggling wife in creating her own “war room” as a place to pray, reflect on scripture and give thanks. A war binder is like having an entire war room in one convenient place. This is especially great if you don’t have a room in your house to dedicate as a war room or, you prefer something that you can take with you. I’ve always been a creative person and have spent years scrapbooking, art journaling and other mixed media and paper arts. I’ve also kept separate scripture and prayer journals for the past few years. Creating a war binder of my own has been on my list of things to do for some time as it can be a blend of creative and spiritual. Notice how I said “can be”? Your war binder can be whatever you want it to be. So, What’s in a War Binder? 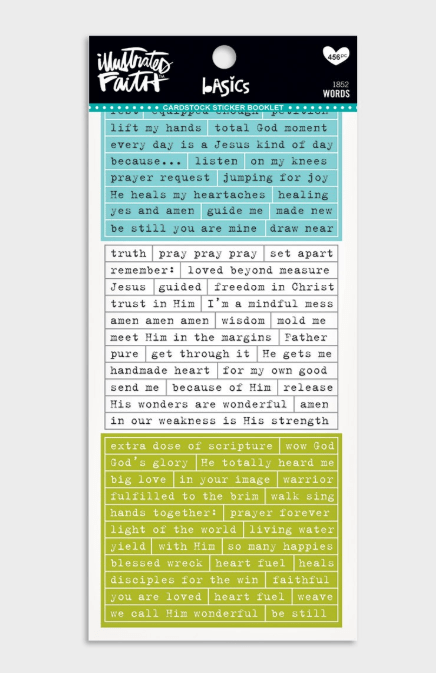 Trackers – prayer, tithing, etc. 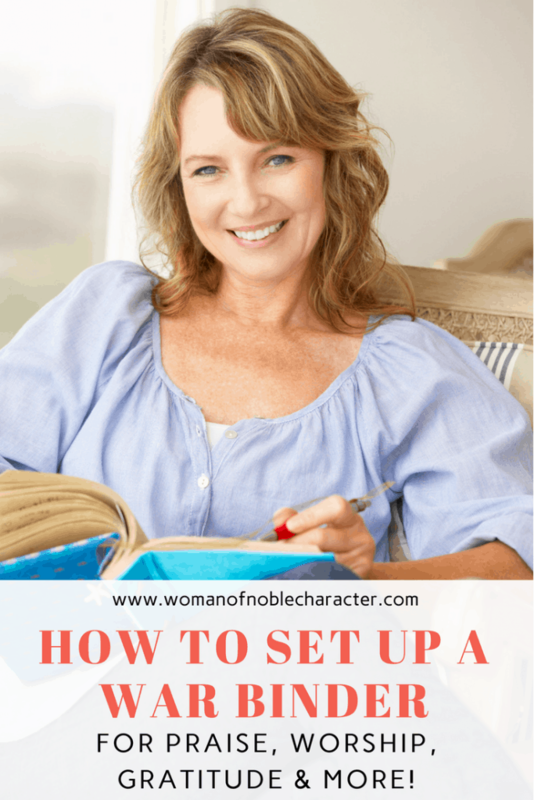 Additionally, you can choose to add photos, drawing, printables or anything else that inspires you. I didn’t spend any money on setting up my war binder as I had a large “stash” of items, already in my office/craft room, that I knew would be great for this project. 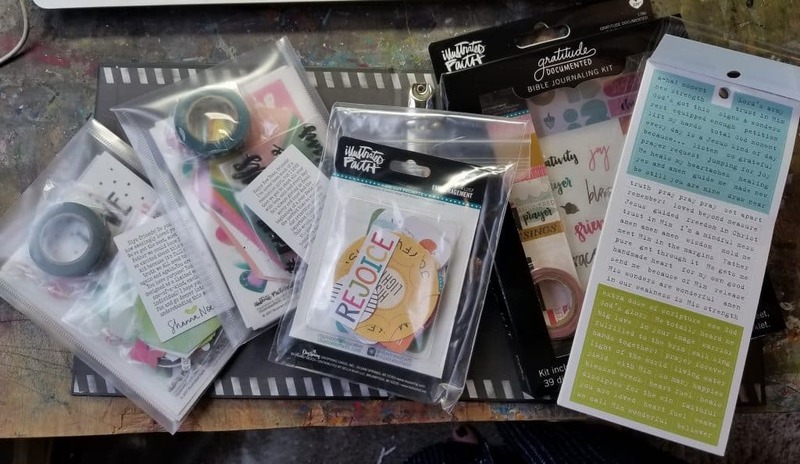 If you don’t have much on hand, the dollar section at Target has tons of cool things, but my ABSOLUTE FAVORITE place to find items to use in my war binder is Dayspring/Illustrated Faith. All of my stickers and die cuts were previously purchased from them. I’ve included Amazon links to the products I used to help you in locating them. 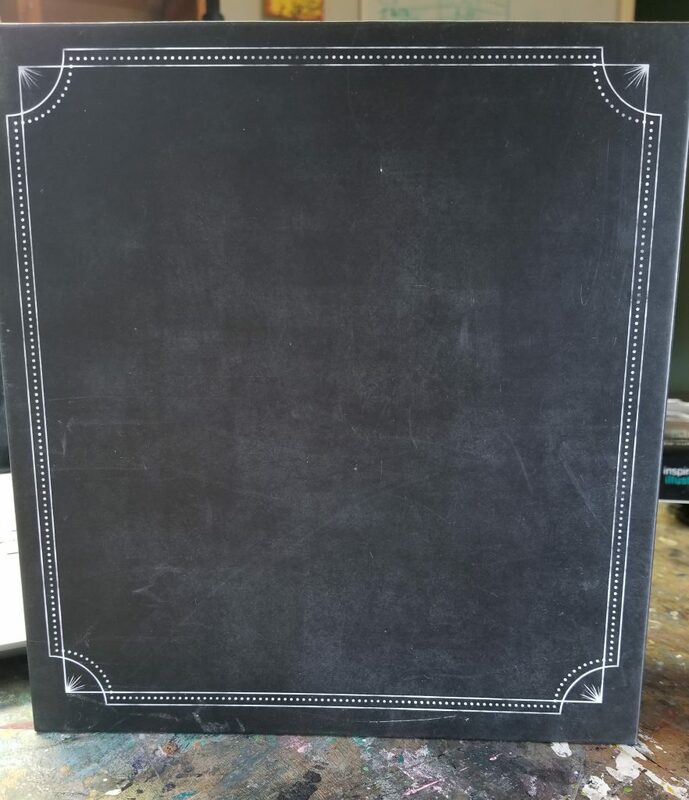 For my next War Binder, I plan on using this binder from Stampin’ Up! – because it is Kraft, rather than black, my options are endless for decorating the cover and inside. Plus, it is a good bit cheaper than the Bo Bunny one. Next, I decided what sections I wanted to include, so I knew how many dividers to make. 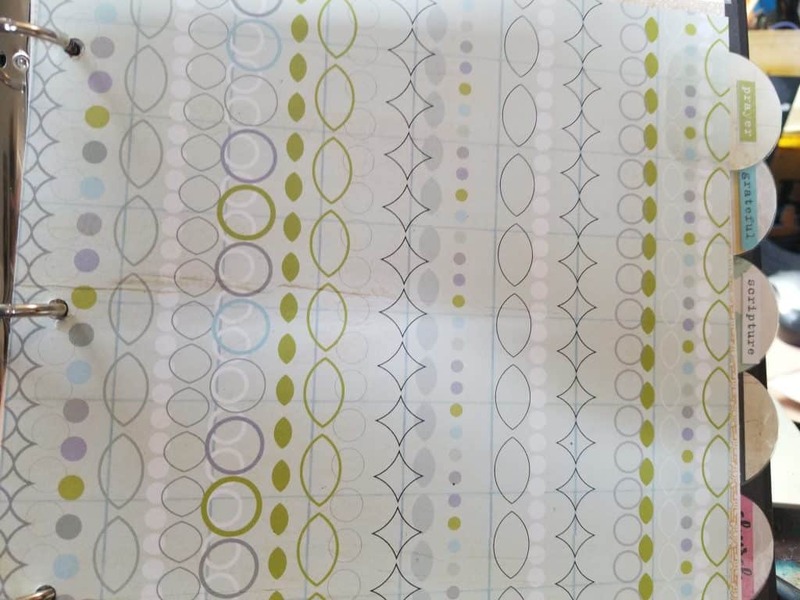 and then grabbed some fun, two-sided scrapbook paper which I cut to 8″ x 8″. 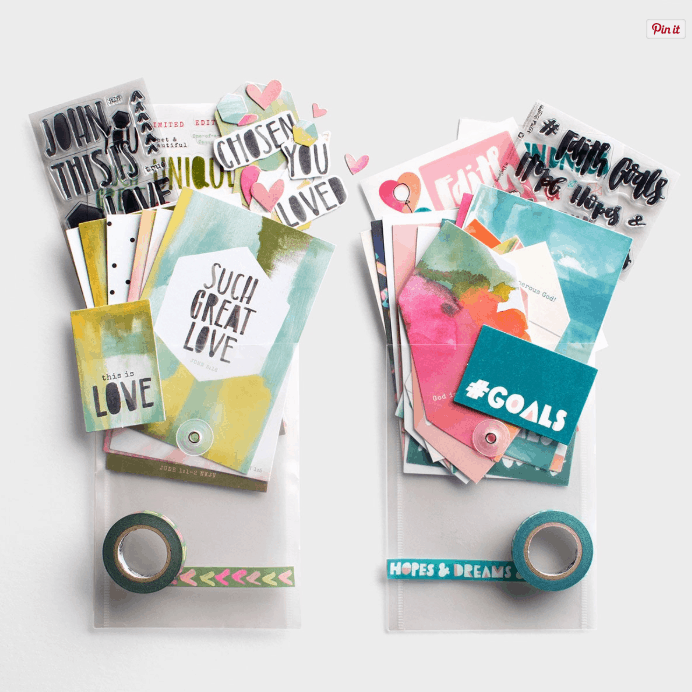 Then I punched divider tabs from coordinating scrapbook paper, added stickers to label the tabs and placed tab protectors (you can use contact paper or laminate them) so they would hold up better. 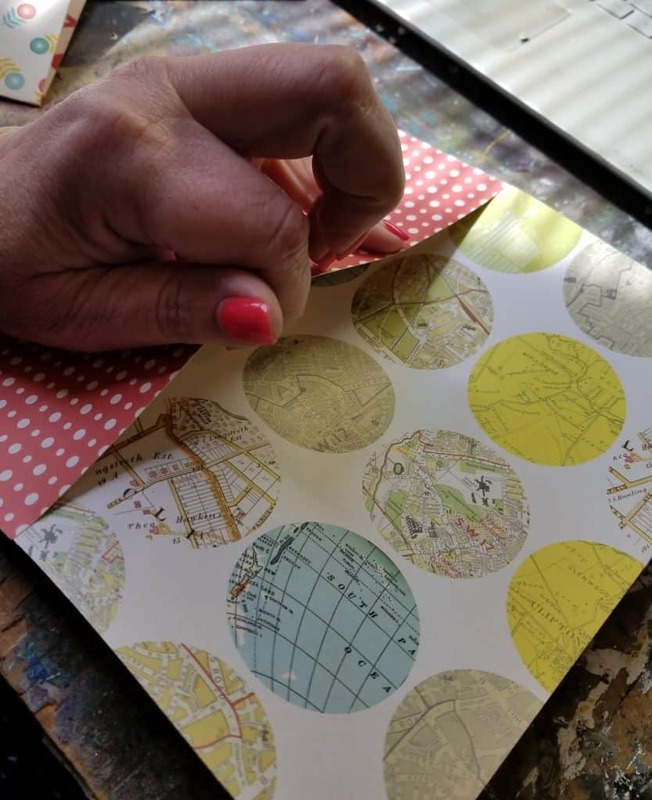 After punching the holes, you may wish to use hole protectors to make the pages more sturdy. 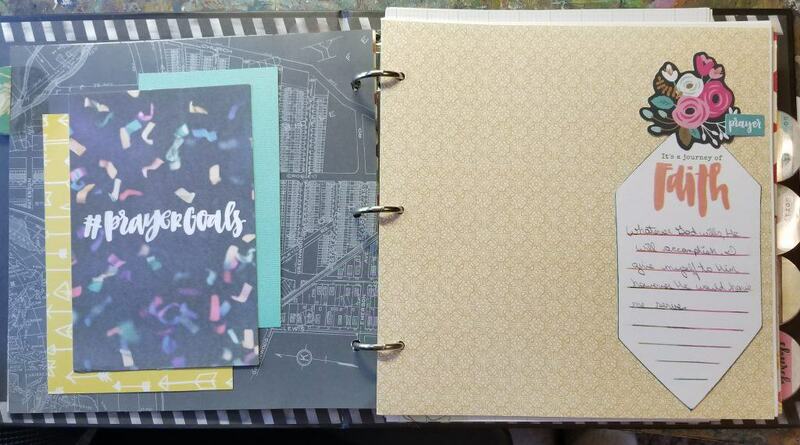 I added the tab dividers to my dividers, punched holes in it and I was off to a good start. 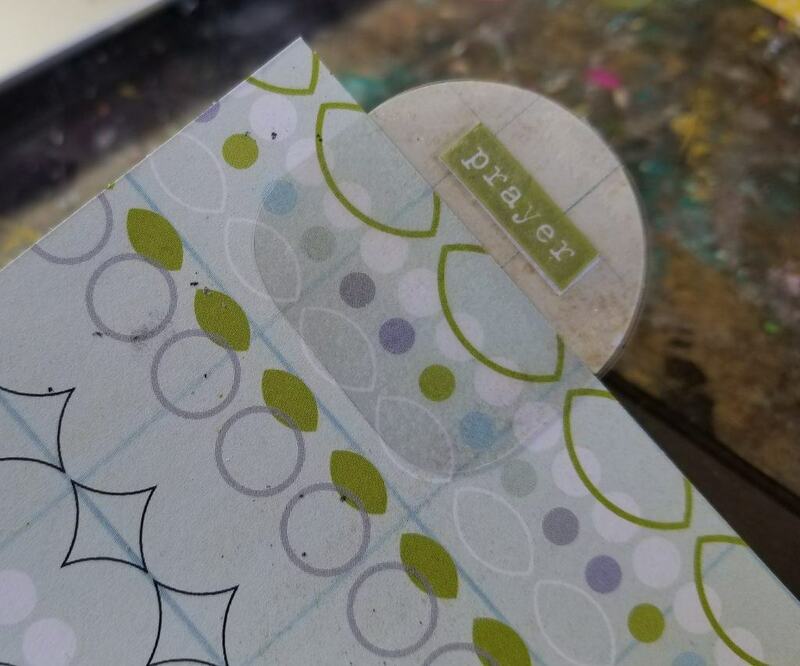 Next, I made a few pockets out of scrapbook paper to have a place for saving sermon guides, prayer requests and other tidbits that I’d like to save. So..now the basic set up was complete, it was time to fill it up and add some pizzazz to it. Want a free war binder printable? Enter your name and email address to get it delivered to your inbox. 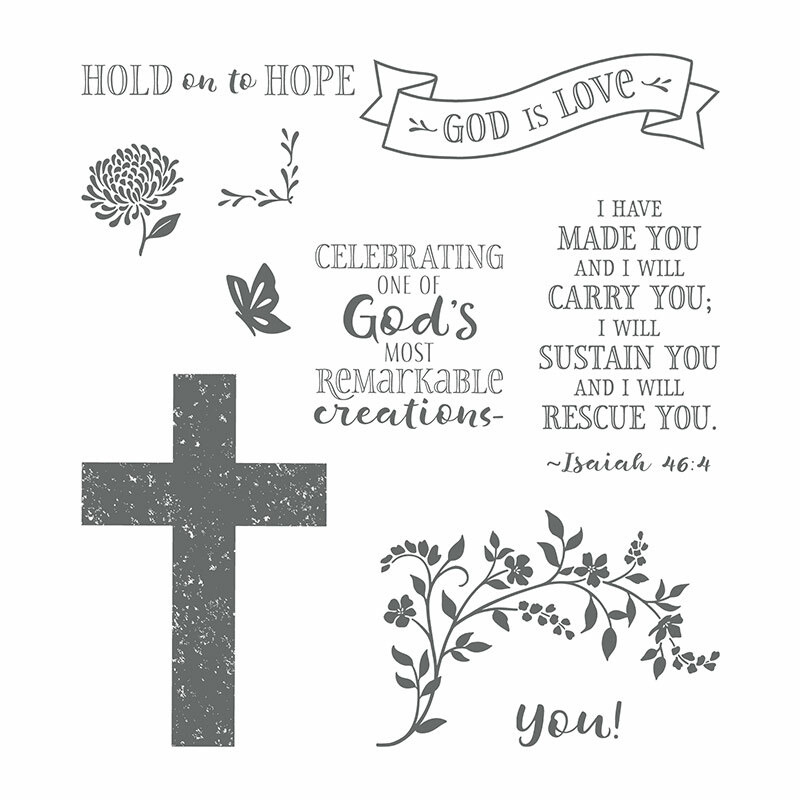 Here are some faith based scrapbook paper packages that I’ve found (some that I have), if you don’t want to use general scrapbook paper. As I’ve mentioned, I’ve used what I already had on hand for the scrapbook paper in my war binder. For the actual pages that I will write on, I cut lightweight scrapbook paper to fit the book, punched holes and placed a few in each section. I also used some pretty lined and grid paper that I had that was already the right size. I’m not a huge fan of the color combo but it will work just fine and it’s not about me – it’s about praise, prayer and worship to Him, right? The lined and grid paper that I used for my inserts is from Bo Bunny Press. 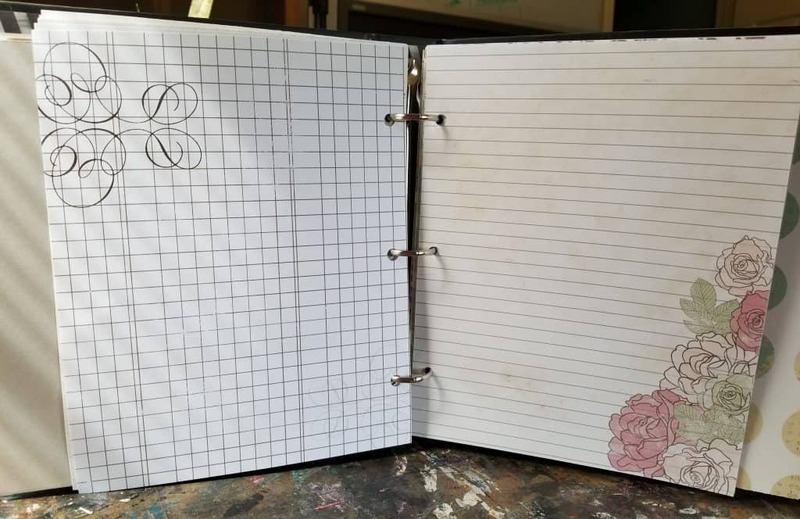 I don’t believe that it is available anymore, but any paper – lined, grid or blank will do! Remember, it is YOUR prayer journal or war binder. Here’s the fun part! I was able to use my creativity to make the war binder truly mine and reflect my walk with our Savior. I added some ink to edges of the paper, some stickers and die cuts and went to town! I also love to add stamped images to my war binder. 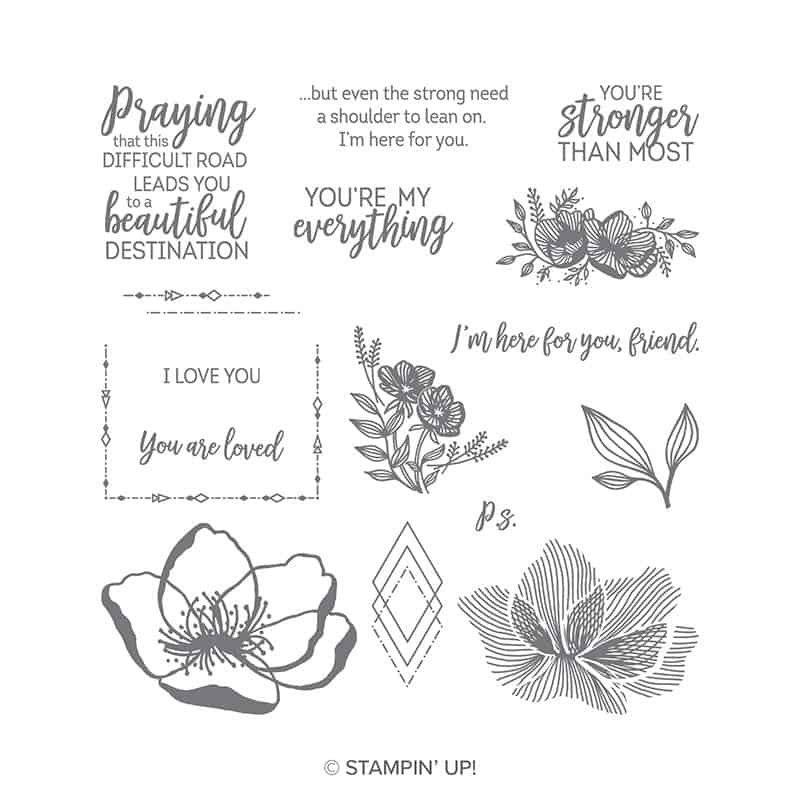 Here are the two sets that I use most (all are Stampin’ Up! ): I also use lots of flowers and tree stamp sets. Remember that this is YOUR personal war binder. It doesn’t have to be perfect. It is for sharing praise, worship, prayer and gratitude. It is for YOUR personal walk with God. It doesn’t have to be expensive or even cost money. Use supplies you already have on hand. If you only have looseleaf paper or a composition notebook, guess what? That’s perfect! It doesn’t even have to be “creative”. I’m not thrilled with the design of mine or even all of the pages and dividers, but this book is dedicated to our Lord and Savior. It documents my walk with Him. I think that He would be pleased that I’m focusing on Him and not how it looks or what everyone else thinks. 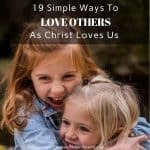 Use the internet (Pinterest is great for this) to find ideas to inspire you. 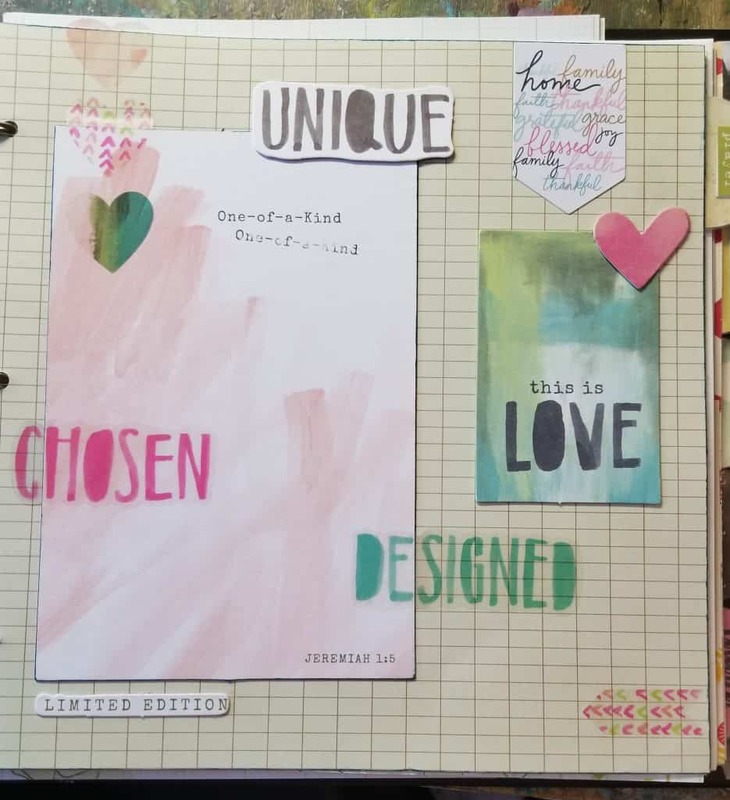 I’ll be sharing more about my war binder journey with you in future posts, as well as my journey with Bible Journaling. 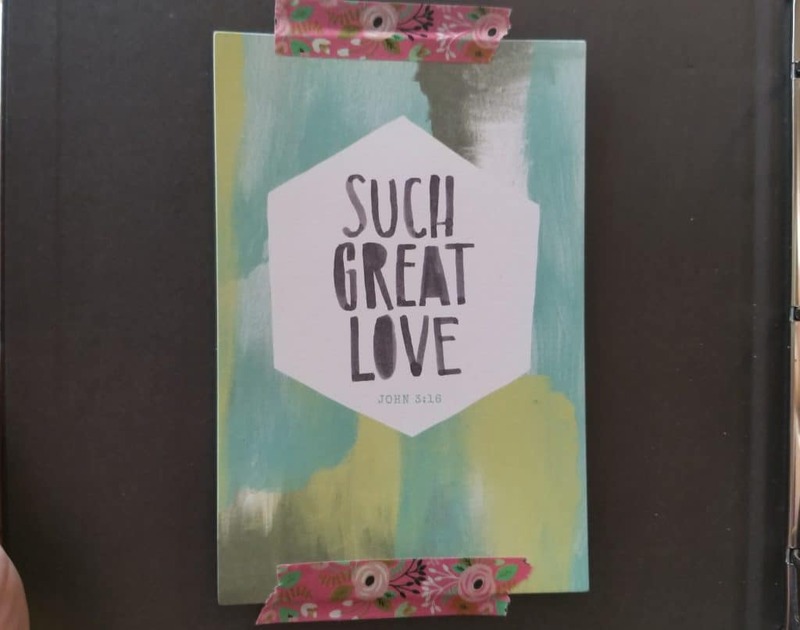 Would you be interested in workshops or courses on creating a war binder or Bible journaling? If so, let me know if the comments. Thank you for sharing this. 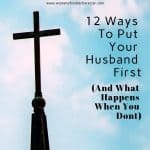 I had been scouring different sites looking for something that made sense to me in setting up my WB and finally found it here. I loved the different options of sections that you listed and I now have a choice of what to include that suits me. God bless you! I’m so glad it was helpful to you! 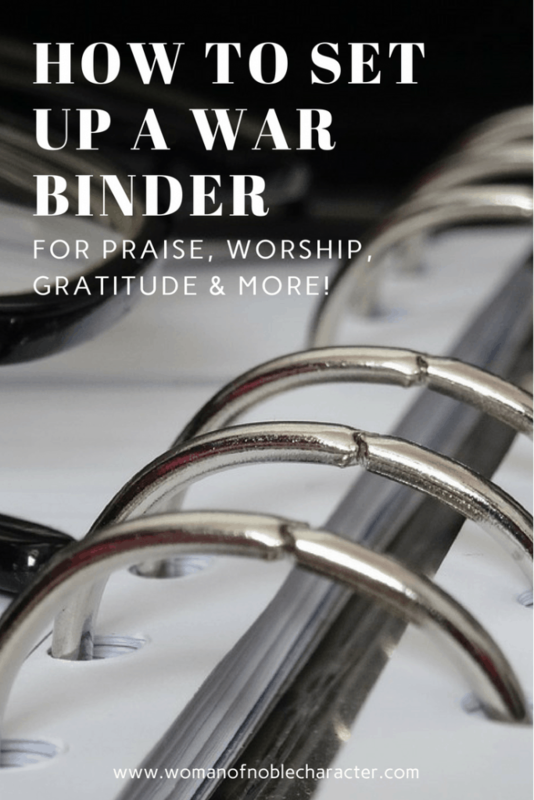 In early 2019, I’ll be sharing some printables and even a war binder course. Stay tuned. Thanks so much for stopping by! I’m so glad that it was helpful! Thank you for stopping by! Thank you so much for sharing! The tips you gave were very encouraging. I have to remind myself that it between the Lord and me. That I’m not making it for others to see. I’m so glad that you enjoyed the post and found it helpful. Thank you so much for stopping by! I would love to hear about your War Binder course! Hi, Lynn! I’m working on it, as we speak. It should be released by March, God willing. Stay tuned and be sure you are on my mailing list so you’ll be among the first to know when it is released. Thanks for stopping by! Oh, Juliet! That sounds just perfect! 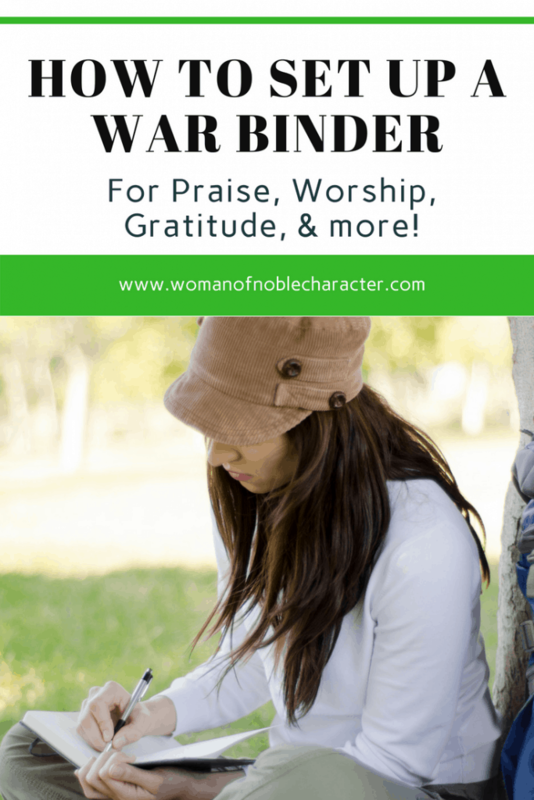 I pray that you reap so many blessings spending time with God and using your war binder! Thanks so much for stopping by!